Ah! Another week of winter. Or at least that’s what the weather is doing here where I live. 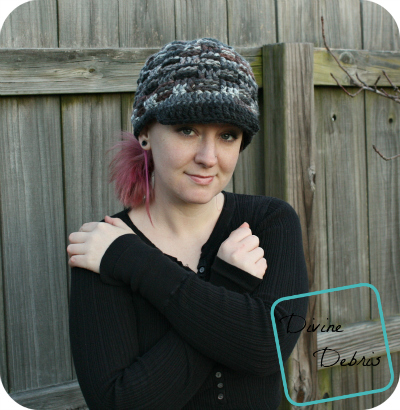 The cold on my ears has motivated me to reach for some bulky yarn again and make a nice, cozy hat. I really wanted to make a Becca Hat to go with the Becca Scarf I post a couple of weeks ago but my hand hurting and all that sorta postponed that plan. Well, with it feeling better I got that going and the beautiful basket weave looks gorgeous in this variegated yarn! I hope you like this pattern and if you have any questions, feel free to drop them in the comments and wherever you are, I hope you’re cozy and warm. This pattern is worked in the round, with the last st being secured into the first st of the row. This is like the Diana Hat, in that it’s very big and cozy of a hat. Keep that in mind as you make it. If you’d like it to be smaller, just reference this chart when you’re doing the increase rows. 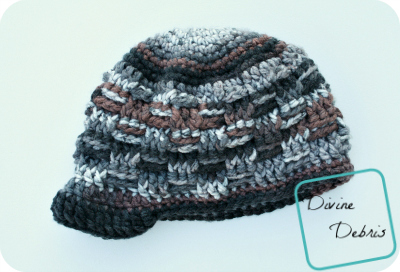 I used a variegated yarn for this design because I loved the way it changed in the basket weave without having ends. For the adult size, work this pattern as written. For the child size, work rows 1 – 8, skip row 9 and the work rows 10 – 22. For child size of this do not do row 9, just move on to row 10. In other news, I just released the Ariel Wrap myself. I meant to get this done earlier in the month but so many things kept coming up that I didn’t get a chance until today. You know how life is. 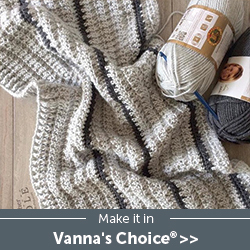 It was originally released in The Pattern Pack’s November 2015 Issue. You can get it, along with any of the other patterns in the Ariel Line, for 50% off the original price. 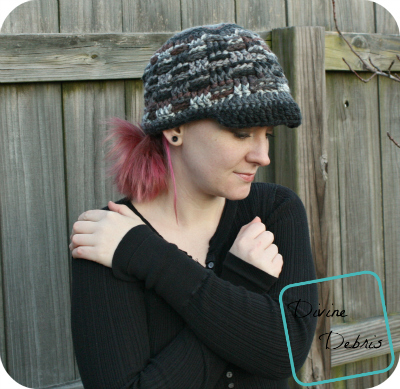 It’s a cozy pattern, perfect for those cold times like I’m experiencing right now! 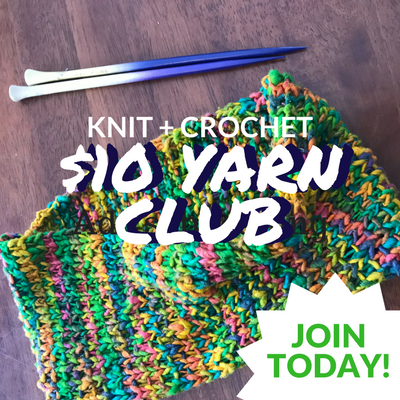 Also head over to FB before January 21st to enter to win a crochet pattern! 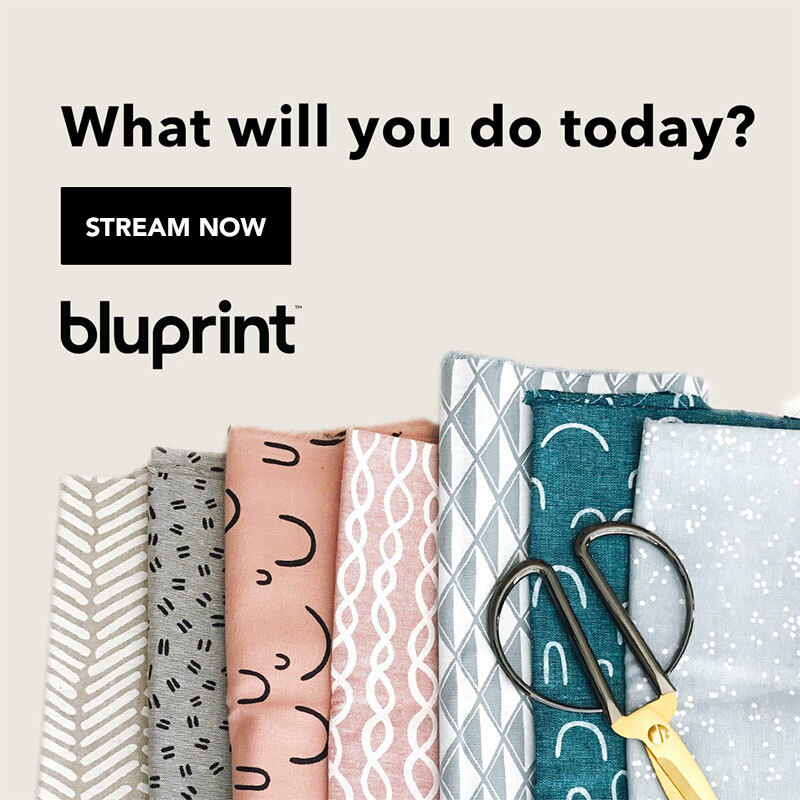 This post is linked to Linky Ladies’ Community Link Party #35, Hookin’ on Hump Day #111, Link and Share Wednesday #128 by Oombawka Design.